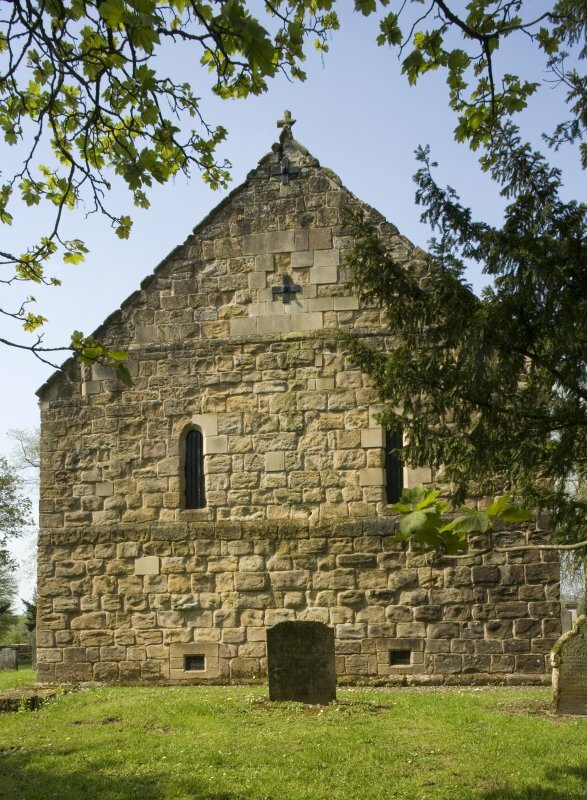 Loudon Kirk. 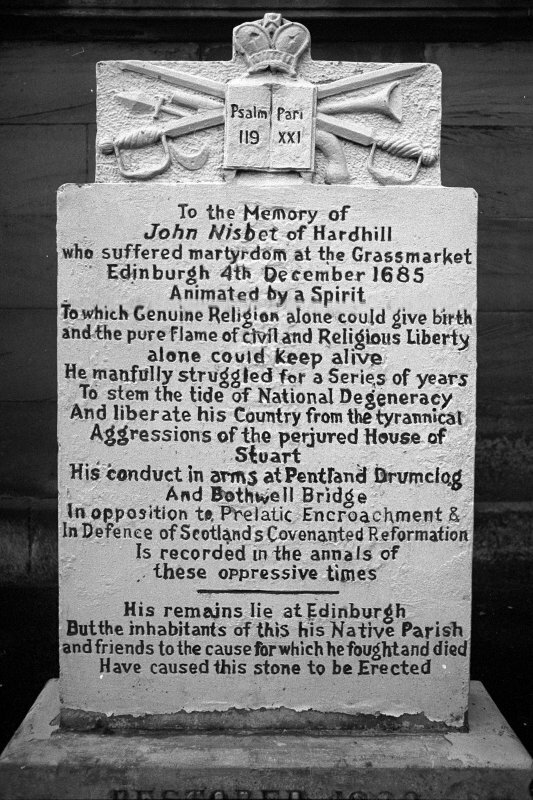 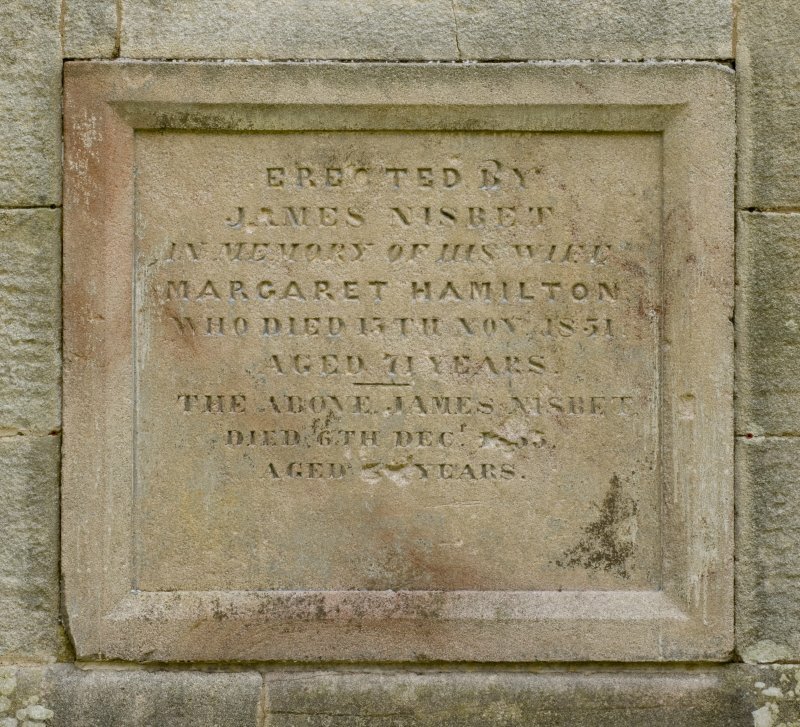 Gravestone commemorating John Nisbet of Hardhill, d.1685. 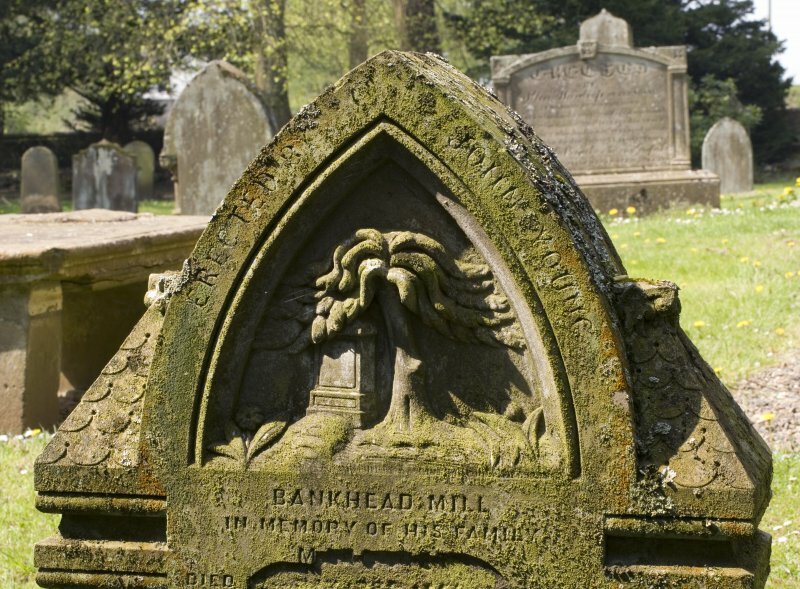 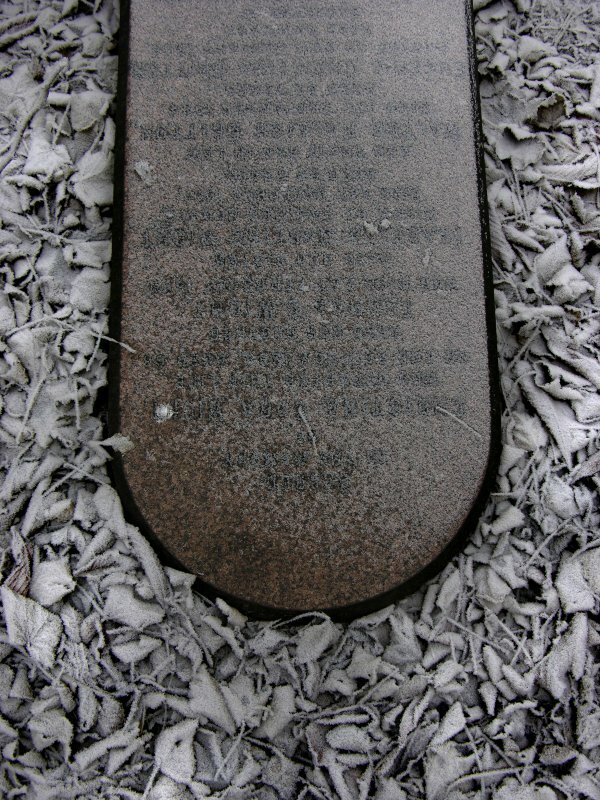 Detail of headstone located in the middle level of Warriston Cemetery. 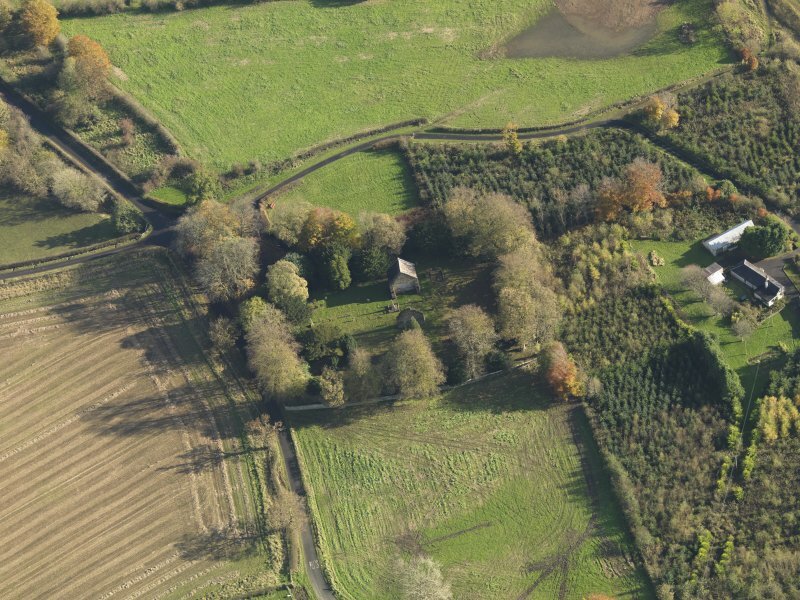 General oblique aerial view centred on the church with the churchyard adjacent, taken from the SSW. 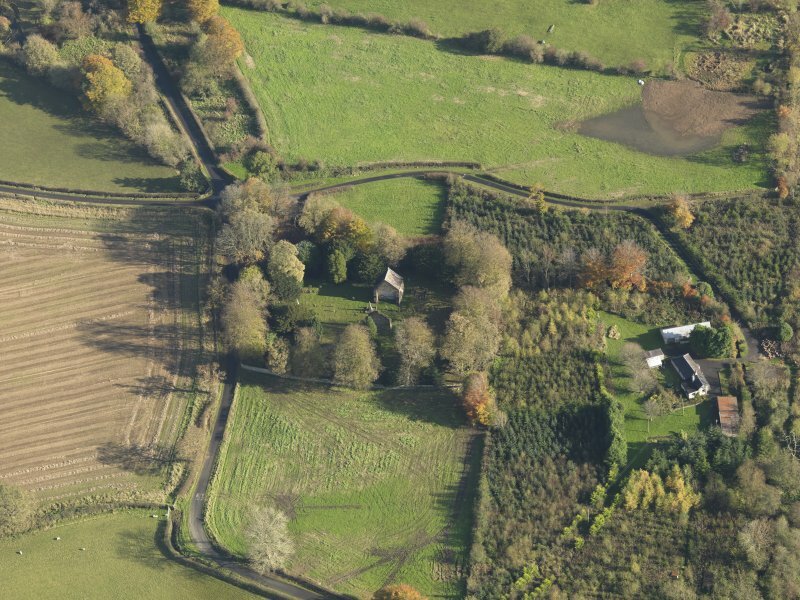 General oblique aerial view centred on the church with the churchyard adjacent, taken from the WSW. 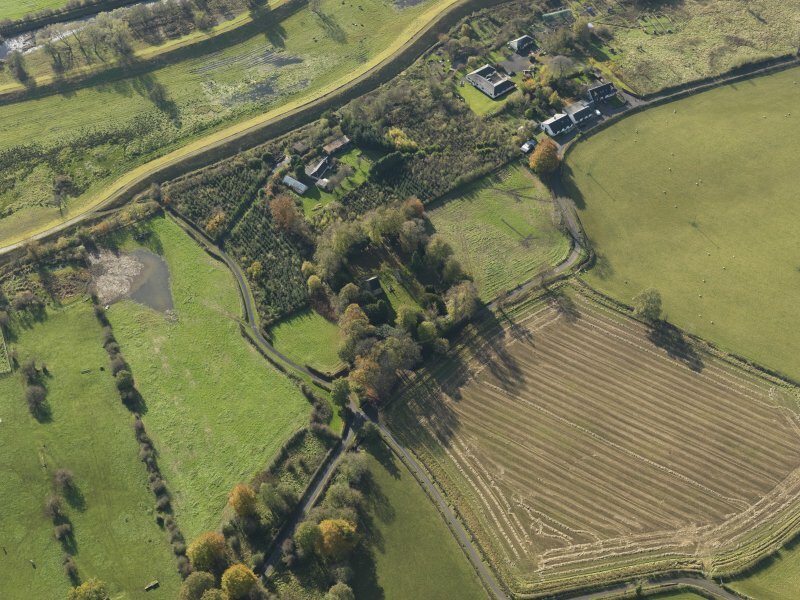 General oblique aerial view centred on the church with the churchyard adjacent, taken from the W.
General oblique aerial view centred on the church with the churchyard adjacent, taken from the NW. 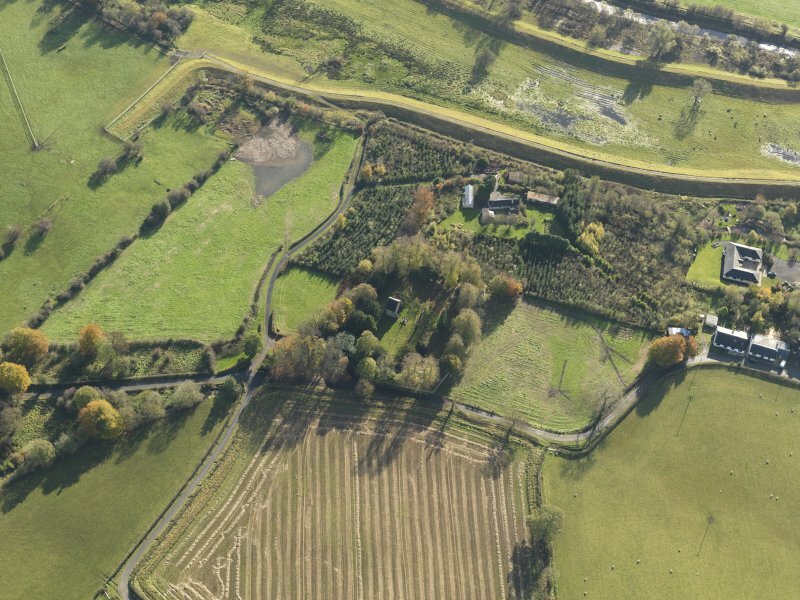 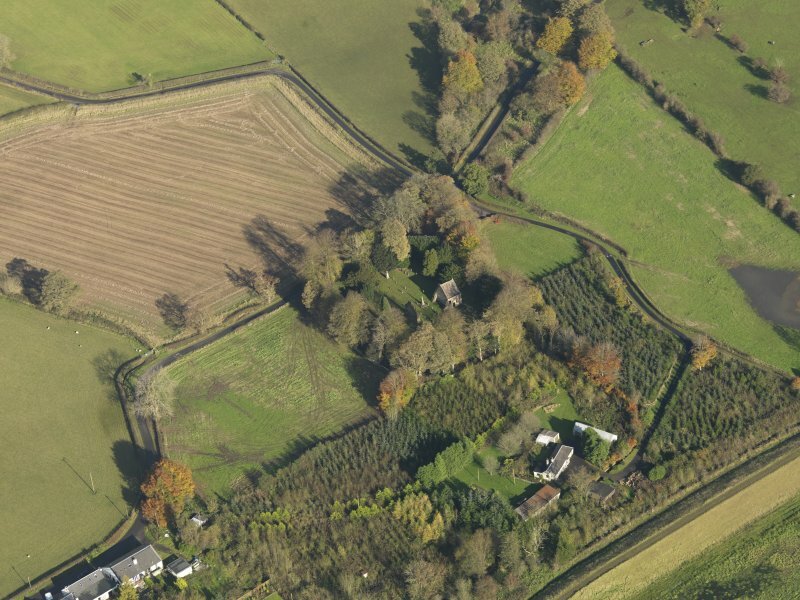 General oblique aerial view centred on the church with the churchyard adjacent, taken from the NE. 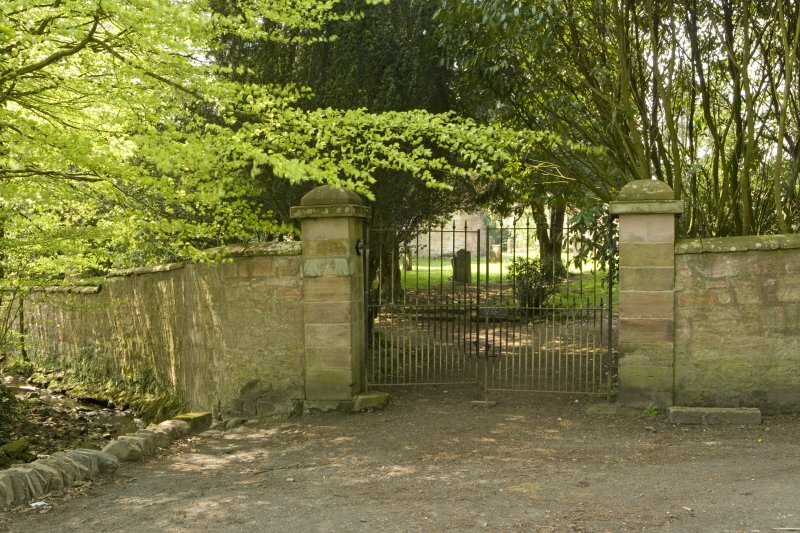 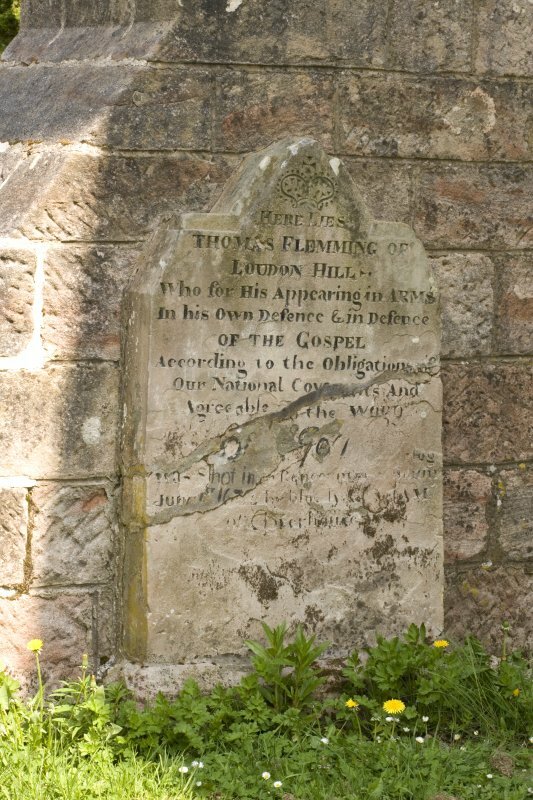 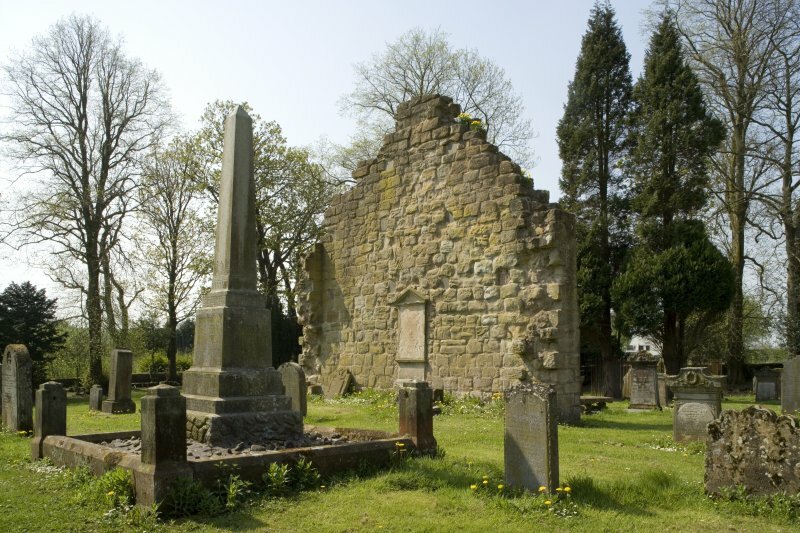 A charter was given by the wife of Sir George Campbell of Loudon in 1451 to support a chapel, the ruins of which are still seen at Loudon Kirk. 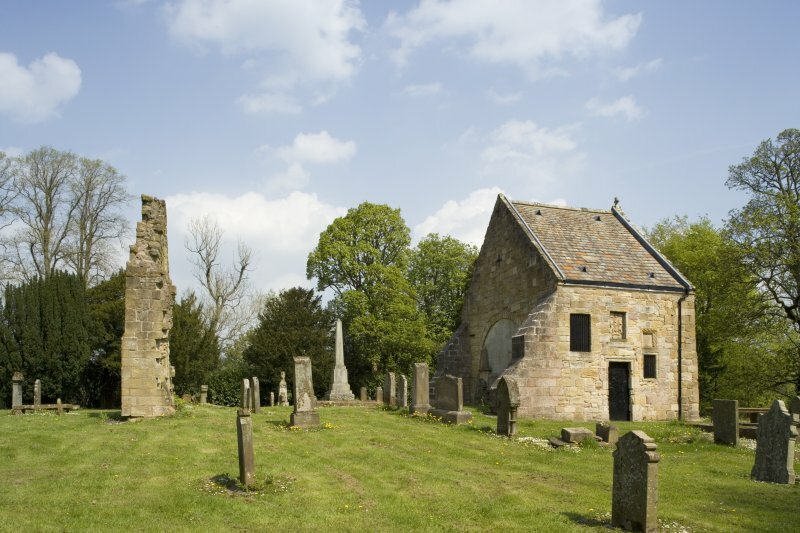 Loudon Kirk (SDD List 1962) is dated by Macgibbon and Ross to the 13th-mid 14th century. 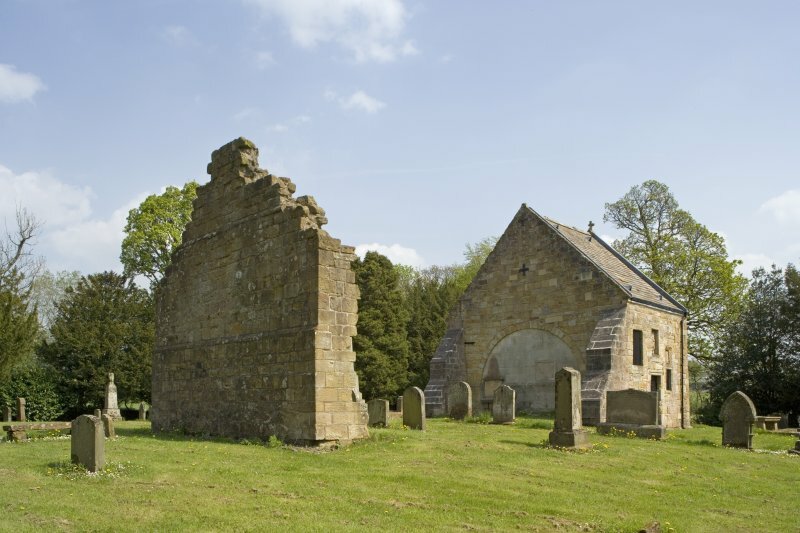 It is now completely ruinous. 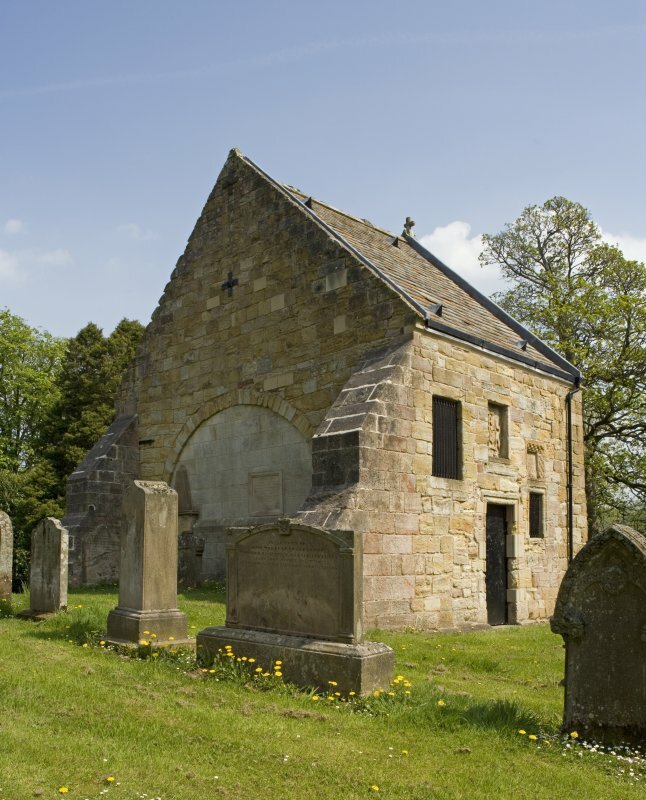 The choir was fitted up in the 17th century as a burial vault which was restored in 1898 by the Marquis of Bute. 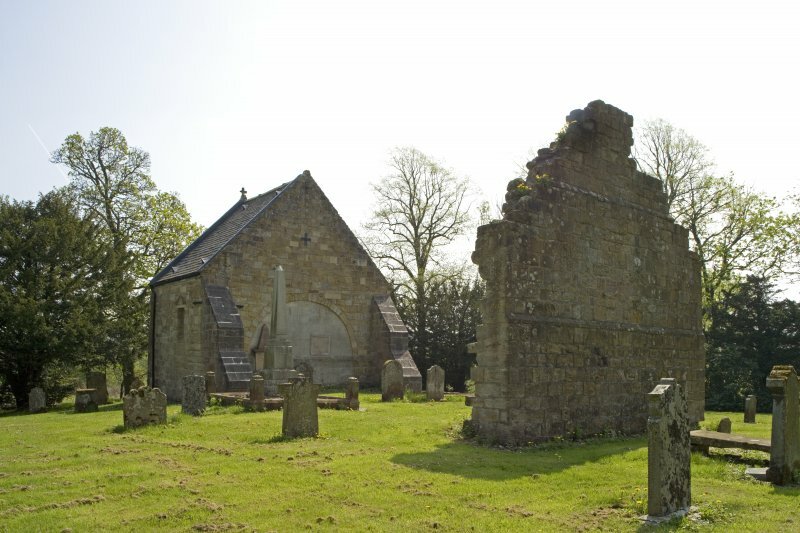 The W gable of the church is almost entire, but the side walls are demolished. 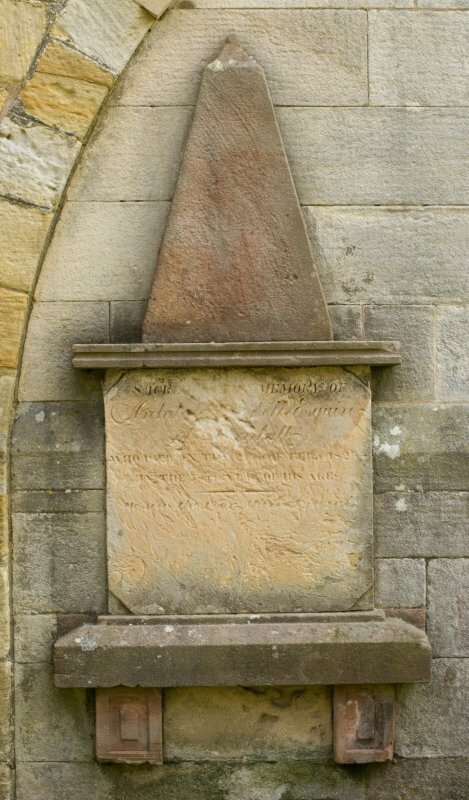 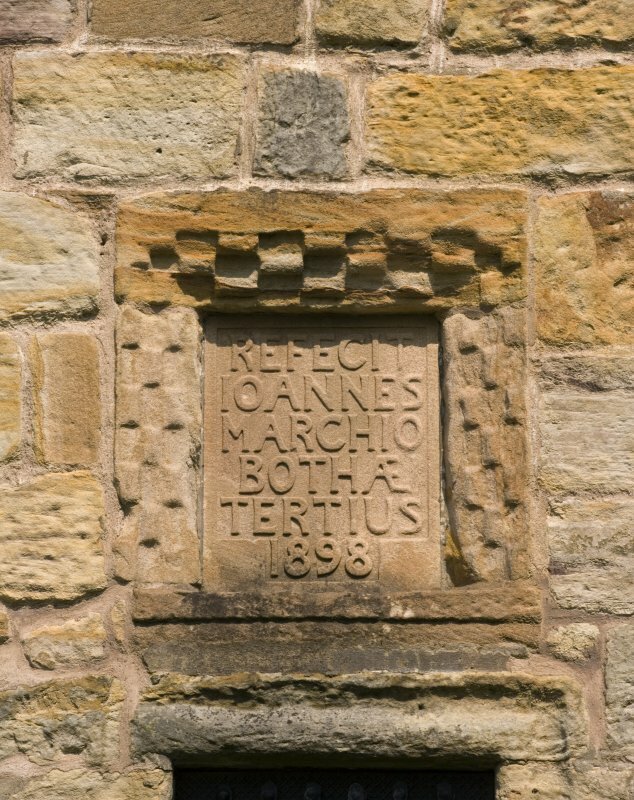 Scott states that the parish church was transferred to Newmilns (NS 537 373) in 1738. 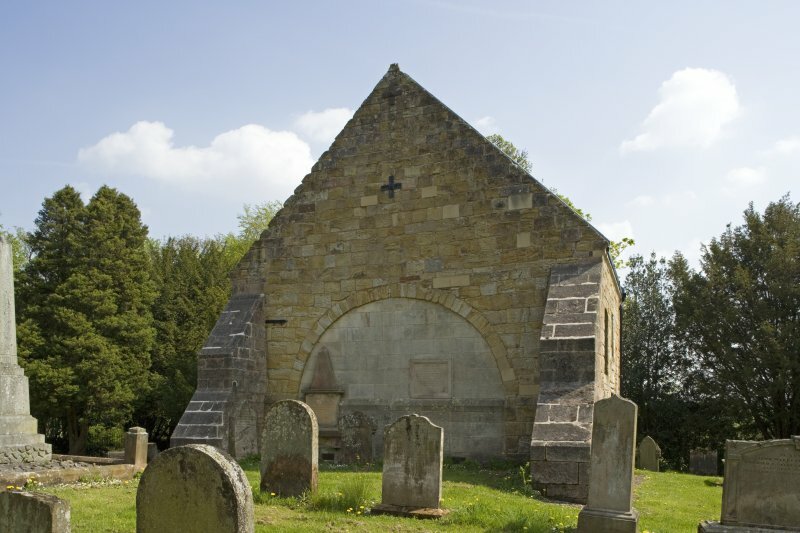 The W gable of Loudoun Kirk remains entire, while the vault, which is roofed, is in good condition and bears a panel dated 1662. 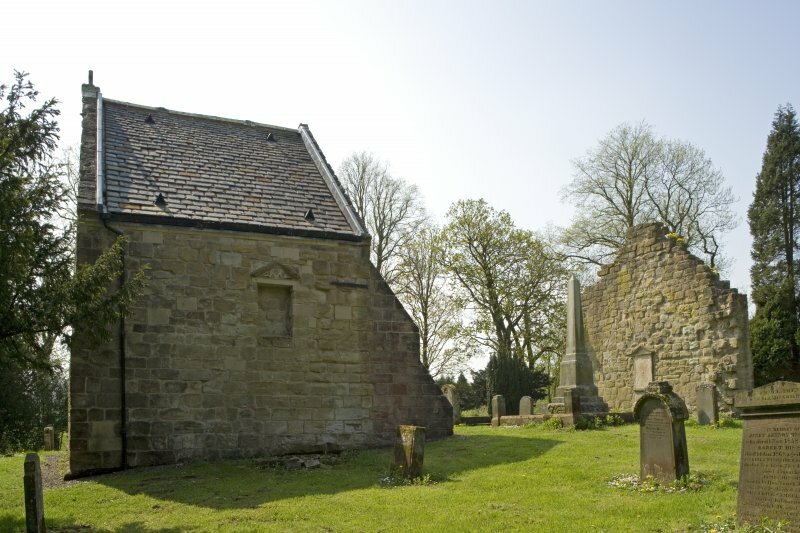 The interior of the church is used as a part of the graveyard. 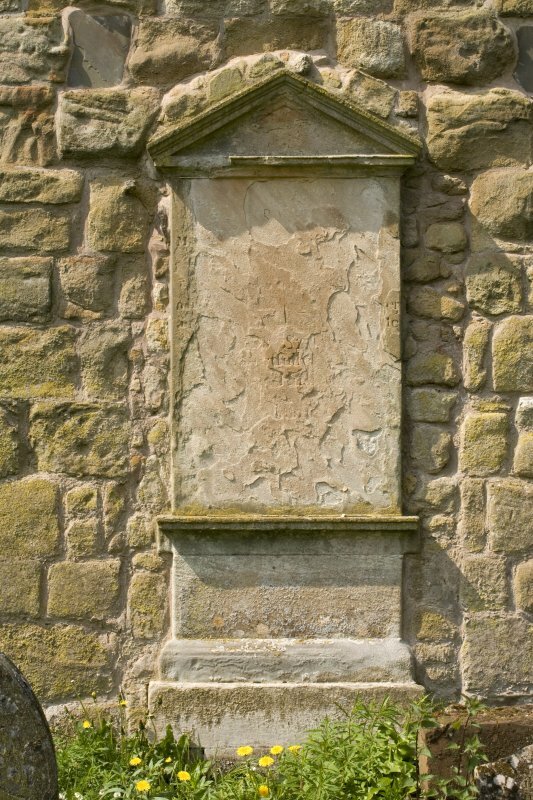 As described, except that the dated panel was not seen; it may be ivy-covered. 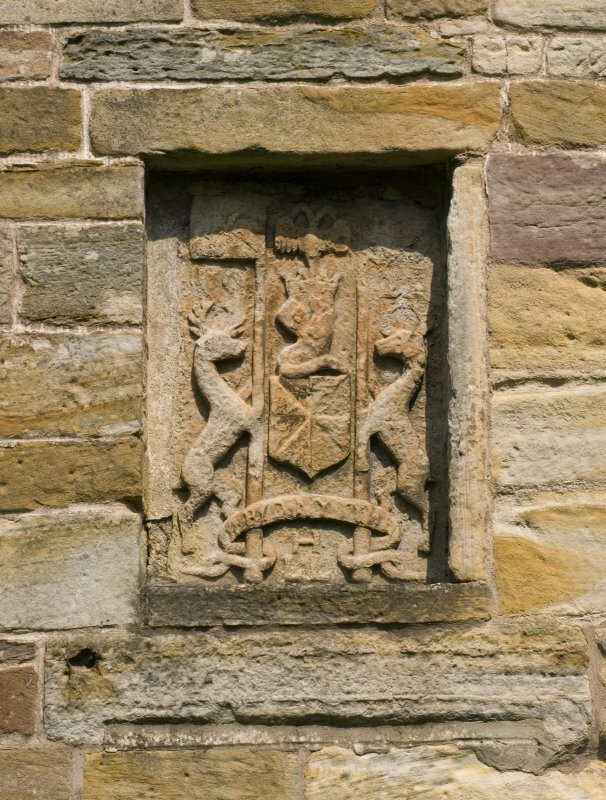 The restoration of the Campbells of Loudon vault was carried out by R W Shultz (1898) for the 3rd Marquis of Bute, whose mother had been Countess of Loudon. 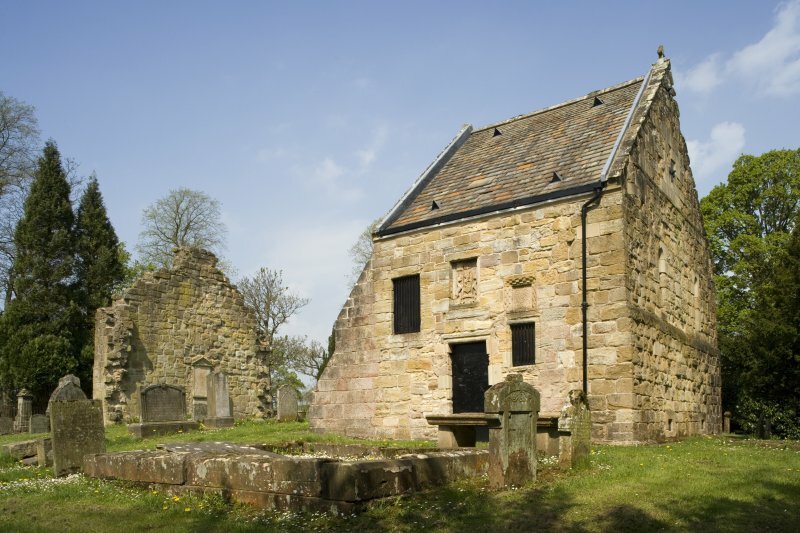 Research carried out on the history of Loudoun Kirk suggests that it was built in the late 12th century.